This elf is in charge of hanging lights. Name that light-hanging elf! Day 5's elf was named Hampton, by Gretchen Alice. Hampton the scooper. Thank you to everyone who came to the signing on Saturday. It was fun. We SOLD OUT of both 12 BOTS and DINOSAURS NIGHT BEFORE CHRISTMAS! I was happy to sell out (in truth, they didn't have that many copies to sell...) but there was a little boy there who wanted a 12 BOTS soooo bad, and we were sold out. It was very sad. A special thanks to the Allred family who brought EVERY BOOK I'VE EVER DONE to the signing. Wow! (okay, not EVERY book, but a large number of them) It was fun to sign so many at once. Thanks! Sarah: Sue, he's got Johnny Cash on his Ipod. This guy's a Maurice. Or a Manuel (like in the show Fawlty Towers). Strikes me as a Frodrick. I think he should be Aldrin (you know named after the famous astronaut). Thanks for signing all of them. When we saw that you would be there we knew we had to go get them signed. I got home and wished I had bought a copy of Rapunzel's Revenge for my sister-in-law for Christmas. She would love it. Yay! 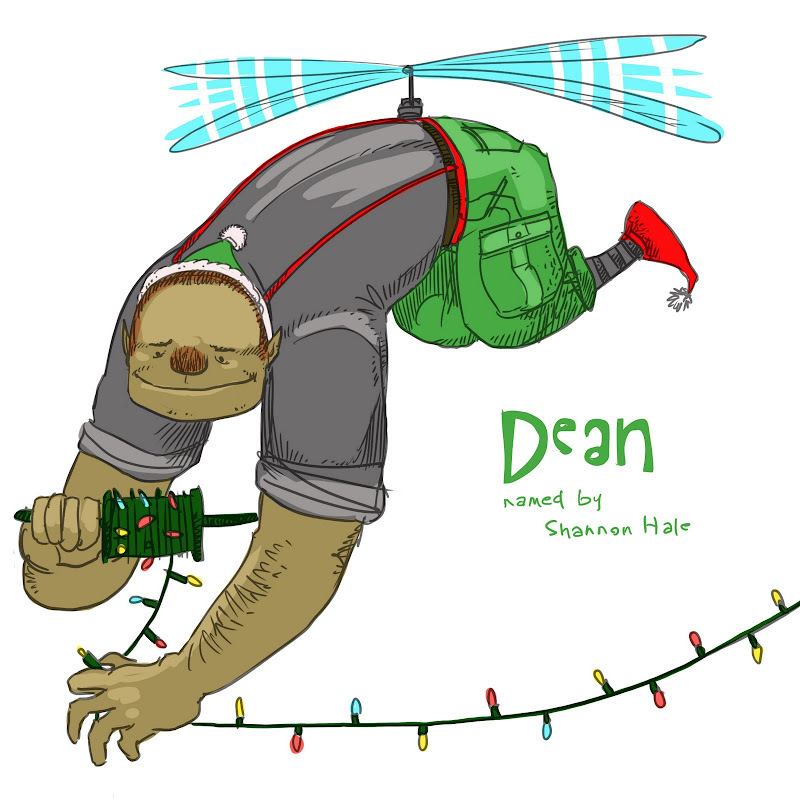 Dean wants to make a holiday shirt with this image. I made him a t-shirt this year that says, "I AM THE BRUTE SQUAD."